April is National Poetry Month. 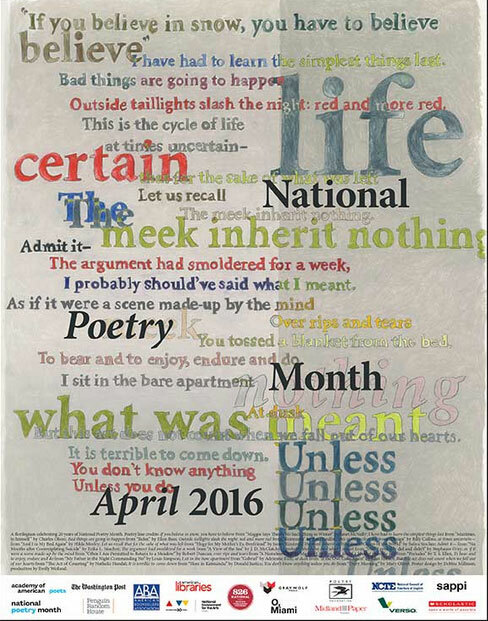 The Poetry Foundation has some great articles and podcasts on their website, including a Poem of the Day series and Essential American Poets, among many others. Poetry Northwest also has a podcast featuring interviews with poets. Also, check out Poems for Spring from the Academy of American Poets.